The following client stories demonstrate the effectiveness of our HELM®methodology and its associated enterprise strategies and technologies. By developing an enterprise approach to managing labor and implementing a healthcare scheduling software (Smart Square®) that supports and automates best practices hospitals and health systems can realize a conservative savings of 4-6% of their current labor spend. As labor typically accounts for 60% of a healthcare organization's operating budget, a savings of this size is truly substantial. 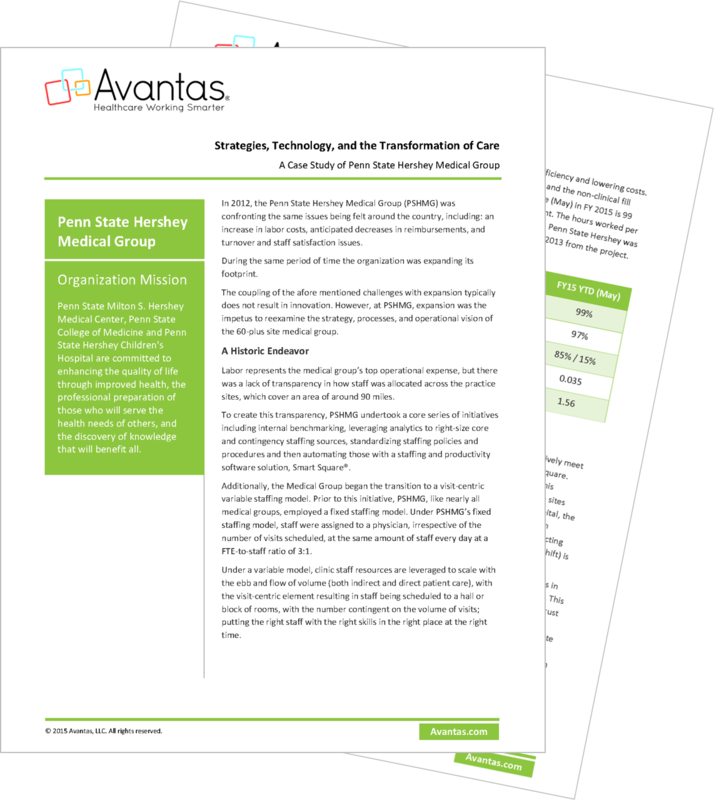 In a response to increased labor costs, anticipated decreases in reimbursements, and turnover and staff satisfaction issues, this 60-plus site medical group undertook a historic endeavor to change its strategy, processes, and operational vision. This included the utilization of predictive modeling, workforce analytics, and the implementation of a variable staffing model. A St. Louis-based health system transforms their organization from a collection of individual hospitals operating separately into a truly interconnected system backed by strategies and technologies to support labor management at the enterprise level. CHI Health transformed their approach to managing labor by implementing five overarching components into their workforce management strategy. 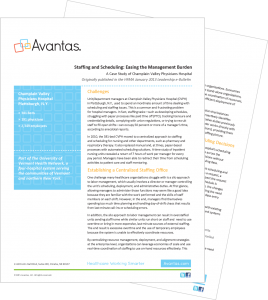 The solution combined the science of workforce planning, demand forecasting, and operational best practices with a healthcare scheduling software that automated the scheduling and staffing process across the 11-hospital system. Wishing to increase productivity, improve quality, and create financial efficiencies, a Tennessee-based health system chooses to automate its best practices and increase efficiency with Smart Square healthcare scheduling software. Unit/department managers at University of Vermont Health Network – CVPH, in Plattsburgh, N.Y., used to spend an inordinate amount of time dealing with scheduling and staffing issues. 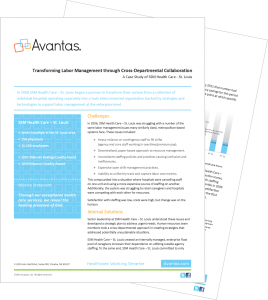 By partnering with Avantas to automate processes and implement customized best practices, managers now get back 7 hours per pay period to devote to mentoring staff and patient care. March 4, 2019 – Healthcare has become increasingly interested in data and the insights that can be found when analyzed. And this preoccupation isn’t in vain. 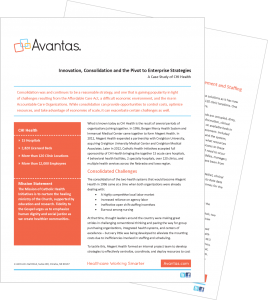 Data analytics have been proven to increase efficiencies and reduce costs. In healthcare, reducing costs and improving the delivery of patient care is vital…. Learn how we can put our expertise to work for you.